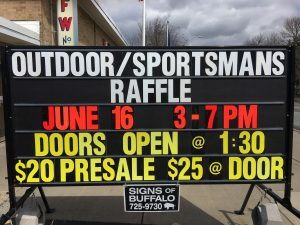 This sign was used to promote a sportsmans raffle in the city of Lackawanna, New York. 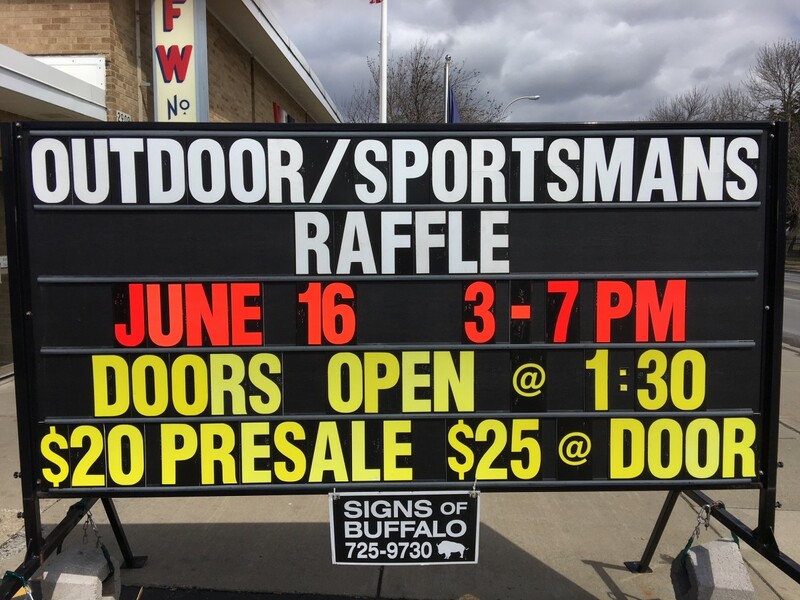 Our signs hold 50% more text than our competitors. 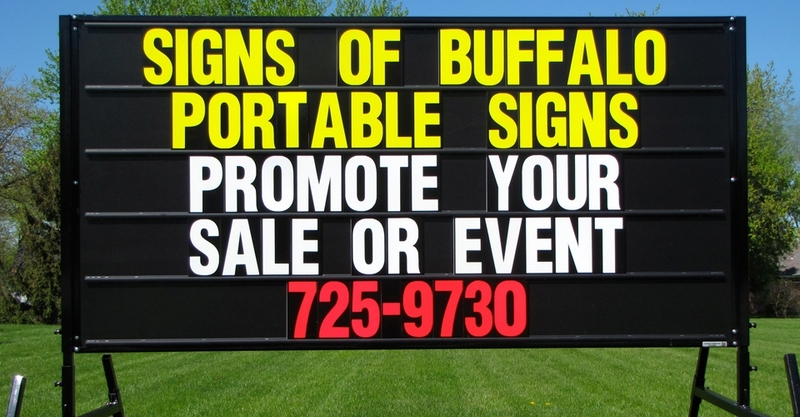 We use bright colors to make the sign stand out.